All about Luis Moro. The man, the filmmaker, the legend. New York 30 May: Cuban-American filmmaker Luis Moro made a protest against the long-standing US trade and travel blockade against Cuba by making a film there. Moro’s “Love and Suicide” was showing last week in East New York, New Jersey, after screenings last year in Los Angeles, Miami Beach and the Bahamas. It’s linked to a personal crusade against the US blockade and it has led US officials to investigate Moro for breach of US laws that make it almost impossible for most Americans to legally visit communist Cuba. If officials act against him, Moro says he will refuse to pay any fines, even if it means jail time. Moro, who left Cuba with his mother at the age of 5, says his campaign doesn’t mean he favours the Cuban government or its leader Fidel Castro. “I’m not pro-Castro. I’m anti-embargo,” he says. A writer, actor and producer, Moro attended a film festival in Havana in December 2003 and took the opportunity to shoot “Love and Suicide,” which was filmed by director Lisa France with a small digital camera. Days after the movie was shown at the American Black Film Festival in Miami Beach in July, the US Treasury Department notified Moro his trip to Cuba was being investigated. Moro said he refused the department’s request for details about his travels, saying he has the right to travel freely. The department can impose fines of up to $65,000 for Americans traveling to Cuba without a special license. Typical fines for first-time violators are about $7,500. Moro said ordinary Cubans on the island suffer most from the sanctions, which were tightened in 2004. The number of US visitors, including those of Cuban origin, slipped to about 108,000 last year from about 200,000 in 2003, according to a Cuban government report, which did not say how many were considered legal by US authorities. The strongest backers of the blockade have been Cubans who fled the country immediately after the Castro-led revolution came to power in 1959, often losing their property. Moro says it’s time to move on. “How many generations, how many families, have been ruined because of personal vendettas?” he asked. The themes of forgiveness and moving beyond bitterness pepper “Love and Suicide.” Kamar de los Reyes plays a New Yorker on the verge of killing himself when he travels to Cuba and confronts his roots. A Cuban taxi driver, played by Moro, shows him the city, helping him find love and some inner peace. The movie shows sweeping vistas of the Cuban capital – the famous Malecon seawall, bustling tourist markets, the winding, picturesque streets of the old city – some with a personal touch. When de los Reyes’character visits his father’s crumbling home in central Havana, it really is the former house of the actor’s Cuban father. Moro says that if “Love and Suicide” is shown in upcoming Havana film festivals, he’ll be back. Luis Moro playing Denzel washington’s decoy in The Siege. LOVE & SUICIDE – The first narrative feature film shot in Cuba, by Americans, since the Cuban Embargo, Love & Suicide opened on May 26, at the West New York Mayfair Theatre and will run until June 1. “The hardest thing is to look in a mirror and see the ghost of what you never wanted to be.” That is one of the torments plaguing Tomas, played by Kamar De Los Reyes, who is the lead character of Love & Suicide, which was co-written and directed by former Union City native Luis Moro and Lisa France.“Tomas goes to Cuba and discovers the one thing between love and suicide,” said Moro. So, what is that one thing between love and suicide? You’ll find out when you see the film, which opened Friday May 26 at the Mayfair Theatre in West New York and will run until Thursday June 1. The 85-minute independent film is the first of its kind to be filmed on the island of Communist Cuba. With beautiful images of the waves engulfing the shores, historical architecture, and the “viejita,” old lady, smoking tobacco on the front steps of her home, Moro’s film captured the spirit of present-day Havana. The cast and crew of eight had been accepted into the 2003 Havana Film Festival for Moro and France’s previous film called Ann B. Reel, about a rapper inspired by the Diary of Anne Frank. Some of the remaining scenes of the movie were shot in New York City, but a majority of the picture takes place on location. At a recent screening at Las Vegas’ Desert Film Society, the film opened to a packed audience and garnered rave reviews. “There was a man there who was an exile and he said to us, ‘I thought I could never go home again, thank you for letting me go home,’ ” said France. 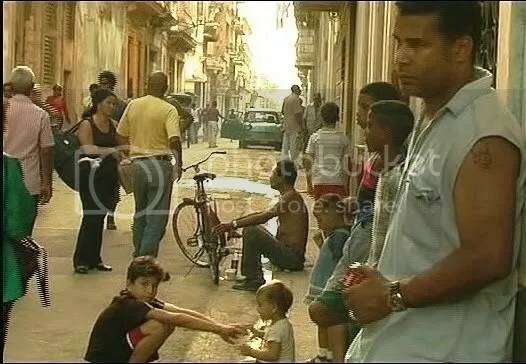 The phenomenal cast of characters included Havana locals as extras. De Los Reyes, of Days of Our Lives fame, delivered a very engaging and honest performance. De Los Reyes was approached about the project after filming ended on Ann B. Reel, which his girlfriend was a part of. Born in Cuba, Moro immigrated to the United States with his parents when he was very young and was raised among the adopted Cuban community of Union City. It was during his 3rd grade school play at Washington School that he caught the performing arts bug. Moro worked in real estate and held a show for 10 years on the local TV station Univision, but in the last eight years he worked on film and stage productions across the country. “I still do stand-up once in a while and got a couple of opportunities in movies,” said Moro, who landed a small role on the film For Love of the Game with Kevin Costner. “I’ll never forget what [Costner] told me: ‘just keep your eye on the ball because there are so many distractions,’ ” said Moro. Moro now resides in California with his wife and five children and continues to balance his inspiring career with his loving family life. France and Moro became the best of friends about eight years ago and have worked on numerous projects together. “Louie is my best friend, and when a person can’t go home to their country and see their family, I don’t even know what kind of experience that is, so this project is very personal for me in that respect,” said France as she fought back tears. The film has been receiving good responses since entering numerous film festivals starting earlier this year, and it has also brought up the controversy involving America’s relationship with the neighboring island nation. Love & Suicide is the first American feature picture to be filmed in Cuba in the 46 years of the Cuban Embargo, which bans all travel and trade from the United States to Cuba. “I personally think this film is going to represent peoples’ opinions about the embargo and I think it will have a major part in lifting the embargo,” said Moro. Moro still has some family members in Cuba. Due to the embargo, Moro’s family has had to go through other countries to see their relatives, some whom they haven’t seen in years. “[The government] won’t let my 84-year-old grandmother go to Cuba to see her dying son – that’s ridiculous. I can’t even visit my uncle because the government doesn’t consider him my family. How many families have been destroyed by this embargo?” said Moro. Moro has been outspokenly critical of America’s political leaders in respect to the embargo, especially those representing the Hispanic community. Moro invited some of Jersey’s most powerful political Hispanic leaders like Senator Robert Menendez, a longtime proponent of the embargo, and Assemblyman and Mayor of West New York Albio Sires to the premiere. Other screenings have taken place in Miami and the Bahamas, and more are scheduled for other upcoming film festivals in New York and California. The Mayfair, however, will be the first theatrical release. “It’s the first theatrical release for an independent filmmaker from Hudson County; it’s amazing. It’s like being a rookie in a major league ballgame,” said Moro. Independent filmmaker Luis Moro is one of those eccentric, rare personalities that will elicit emotion out of you upon first meeting him. Praise and controversy over his film, Love & Suicide has skyrocketed this 6’1’ dark, handsome Cuban actor/writer into indie stardom. His character Alberto in the film was seamless, with such a carefree attitude one wonders if he knew the camera was on him. “There’s a lot of me in Alberto”, said Moro during a recent screening at the HBO New York Latin Film Festival. Three hundred people packed the theatre and gave the film a standing ovation. The audience laughed and were moved to tears. Alberto’s character is optimistic, persistent and consistently draws laughs. He lives life with a purpose…he has that peace within. Audience members commented after seeing Love & Suicide that Moro’s performance was the all out hit of the film. Luis Moro, was born in Cuba and raised between Union City, NJ and Washington Heights, NY, he graduated from Rutgers University where he studied acting while lettering in Football. He came to the US when he was five via Mexico, after his mother escaped from Cuba. “I was a double immigrant, smuggled in and out of two countries.” His boyish charm is contrasted by his exuberant personality. One cannot help but be intrigued by his no nonsense approach to life, but again one contrast after another has led him to an insatiable humor that never quits. History is what Luis Moro made when he became the first American filmmaker to shoot a feature length film in Cuba in 46 years. His fearless pursuit of freedom and his constitutional rights has kept Luis Moro on top. His bank ability has been a welcome result to hard work, making five indie films back to back. Industry insiders are paying attention to Luis, and offers are starting to come in for work with people he has only dreamed of working with. “This is a true Hollywood story,” said a young Latina standing in line. “He literally started as an extra, and look where he is now,” touted her girlfriend. Sitting at the Four Seasons in New York, his presence alone is distinct. People take a second and third look, or simply stare. Either he just has this presence about him, or maybe his laugh, more of a guffaw, can quiet a room for a second. People are just drawn to him. From the parking attendant that he befriended with one line in Spanish that had this guy laughing probably for the first time that day, to the young hostess, that Luis has giggling. “My wife, Barbara, really believes in me and has been my biggest supporter, as well as representing me for now,” he stated. “She really has my back.” They have five children to support on an indie salary. They both have already done the hard work, especially now that AMC Theatres has committed to screen Love & Suicide. They will open the film in the heart of Miami August 11th. “The thing about him is he charms kids as well as 80 year old’s, and everyone in between. I don’t know anyone else like him,” his wife Barbara said over the phone from their home in Los Angeles. “He likes to really relate to people, it’s like a passion,” she says. “Know your Moro” his website proudly says. That is a bold statement, but coming from a bold visionary you can’t help but laugh, because if you know your Moro, you will be laughing too. doe anyone know where I am supposed to put this? This has been a journey for my husband Luis Moro, and myself over the last three years. There have been so many people that have shown their love along the way, including the director Lisa France, and producers, and editors (Jokes and Bruno) that became family. We have stories of how this movie came to be, from the moment of conception-to the actual flights to Cuba. As a group we converged in Havana. A small eager group…a director, a director of photography, sound, and our actors; Kamar de los Reyes, Luis Moro, Daisy Mc Crackin, and myself…we had an amazing journey. I was four months pregnant with our child and I was in amazment of this island that my husband came from. Everything I took for granted was so desperatly lacking there. On the cutting room floor went half the movie, and from that Luis constructed an amazing work of art. A living peice of art, with sounds and sights so vivid you could almost smell the smells of the city. We stayed up night after night for months until it was only Luis standing peicing together a movie that very few people could see a vision from. We lived with our editors, or they with us…we ate and slept together for months until we had our movie. The story of a man that went to Cuba to find the one thing between love & suicide. It was raw, and enchanting. It gripped you, but the relaxation was inevitable as you took a journey through one of the most unique cities in the world. We have enjoyed every single person we have met along the way, that have seen the movie. We have been to festivals with our movie, and every time people stayed behind to ask questions about how we filmed it, and what as a people can we do about the embargo. At the Black Film Festival in Miami we discovered we made history by being the first American filmmakers to break the embargo and film a feature length film there. And the journey began. Luis and I have five children between us, and with the help of family, friends and supporters we have done the impossible. Live on an Independant filmmakers budget. It has been a road of excitement, trepidation, creativity, and soul searching. Everyone who knows us has in one way or another been touched by Love & Suicide. When Roy Clemens Steve Harris (The Practice & Law & Order), returns to his rural hometown of Haralson, Georgia (population 83) for his father’s funeral, he inherits the family store and a mess of skeletons in the closet. Delivering a package, he discovers Sammy Phillip Bloch (E! Channel Celeb Stylist), an old acquaintance who has been locked-up at home by his older brother Harold Gale Harold (Queer As Folk)for twenty years. Sammy and Roy form a bond around a desire to leave Haralson for the city lights ofAtlanta and the elusive comfort they hope it holds, but to get there they must both come to terms with Harold and the secret he shares. Directed by Lisa France (Anne B. 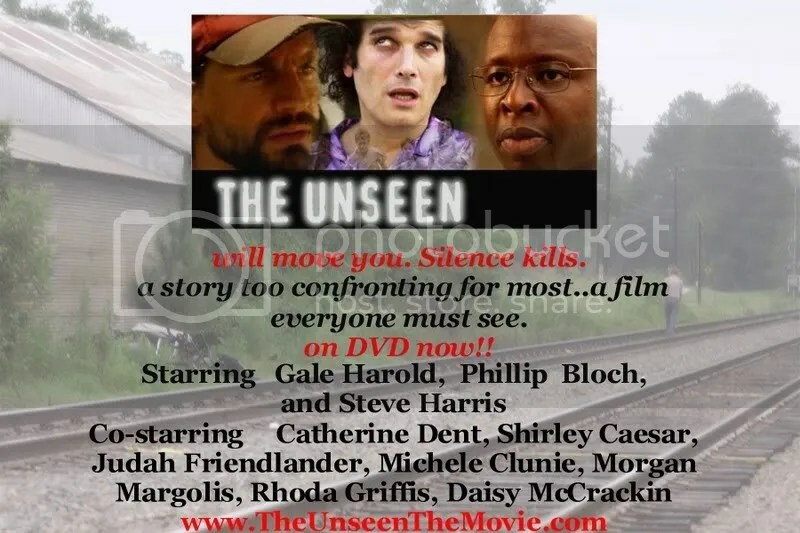 Real) and working with a solid cast including Catherine Dent (Shield), Michelle Clunie (Queer As Folk), Judah Friedlander(American Splendor), and Shirley Ceasar (Award-winning Gospel singer). Outstanding photography by Jim Hunter adds to the foreboding atmosphere of a film that is alternately funny and touching. I am a wife, a mother of five, an artist, a filmmaker, a mentor, a lover of all things expressed. I live for being fully present in the moment. I work for free, I live fully and I dream huge. I want it all. I cannot get enough, I am due ten years of vacation time, and I believe in freedom. My direct ancestor is Richard Stockton, Signer of the Declaration of Independence. My husband is Luis Moro, the man who was born in Cuba and came back 38 years later and shot a film there that put him in the history books. This is about him. Watch the opening scene of his masterpeice ‘Love and Suicide’.